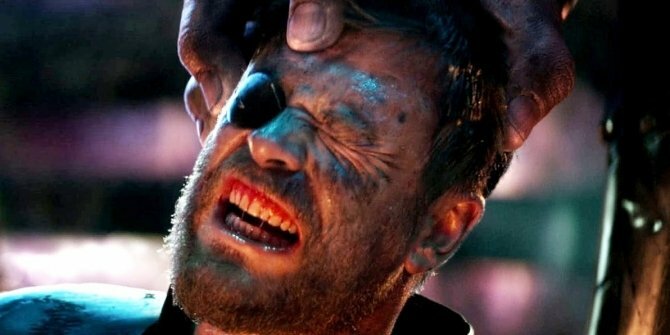 Avengers: Infinity War star Chris Hemsworth was apparently worried that the upcoming Marvel Cinematic Universe epic would, rather counterintuitively, disregard the growth displayed by his character Thor in the recent threequel Ragnarok. Speaking to News.com.au, the God of Thunder expressed his concern that directors Anthony and Joe Russo would undo the hard work done by Taika Waititi in the aforementioned film, possibly writing the character as the “old Thor.” It’s a fair concern, and here, Hemsworth explains how protective he was. “I came into this and called Joe and Anthony and said, ‘Look, don’t write me the old Thor, we’ve got a new Thor now. I was like ‘no, no, no’ and I was really protective of what I’d created with Taika,” the actor said. While his co-stars, Iron Man (Robert Downey Jr.) and Captain America (Chris Evans), have benefitted from relative consistency behind the camera at some point in their trilogies, with Jon Favreau having helmed the first and second Iron Man films and the Russo brothers having directed The Winter Soldier and Civil War, each entry into the Thor trilogy has been guided by a different director. So again, Hemsworth’s concerns are understandable. Thankfully, the duo behind the camera for Infinity War and Avengers 4 managed to put the actor’s mind at ease, and as a result, settled the nerves of countless fans weeks before the MCU’s most critical moment. “They then said, ‘No this is a whole different thing; Thor’s never faced something like this, never been a part of this large and ensemble.’ I think for our characters it was difficult but for me a hugely exciting adventure,” said Hemsworth. Yes, Chris Hemsworth is defensive when it comes to Thor: Ragnarok, but he should be. The film undoubtedly contains the actor’s best performance in the MCU thus far, and it wasn’t by fluke. Waititi created a genuinely humorous and harrowing picture that doused the son of Odin in an unfamiliar, yet cleansing light, resulting in an excellent movie and one of the franchise’s high points. Having been bounced back and forth between universes, so to speak, Hemsworth, much like Thor’s fans, has finally found stability in the character thanks to Taika Waititi. Though he may have been somewhat lost in the chaos during the MCU’s first ten years, Ragnarok has given the God of Thunder firm-footing just in time for what’s sure to be his biggest venue yet in Avengers: Infinity War.